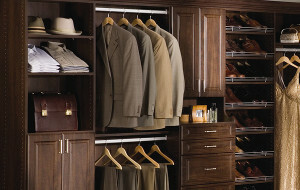 Doors & Windows West now supply custom closet organizers. Manufactured by Rubbermaid®, available options include basic wire shelf and wooden Heirloom Select™ organizers. Uniquely designed to offer long-lasting and adaptable storage, these organizers offer increased functionality by allowing you to maximize your space and customize it to suit your personal style and needs. Heirloom Select closet organizers give the look of a built-in wooden closet and are manufactured to offer aesthetically pleasing, durable storage options for changing lifestyles. Organizers are made of quality adjustable wood and wire materials, making for dependable and flexible storage for closets, pantries, craft and utility areas. Available in classic white, traditional ivory, fresh maple, rich cherry and mahogany finishes, these beautiful organizers will add an elegant touch to your home design. Use Heirloom Select™ closet organizers to reflect your personality and sense of style, while also organizing within your budget. Wire shelf organizers offer an ideal storage solution, creating usable storage and hanging spaces, as well as stackable shelves. Wire organizers are manufactured from durable and sustainable industrial steel and can be epoxy coated in white or satin nickel finishes. Both offer hard surfaces that are easy to glide hangers on, and that resist chipping, peeling and discoloration over time. All wire shelving are maintenance-free and provide increased air ventilation, subsequently preventing mold, mildew and dust build-up. Wire storage offers the benefit of accessibility, allowing you to easily spot your stored items, even in high places. Uses an uninterrupted rod, allowing hangers to glide freely. 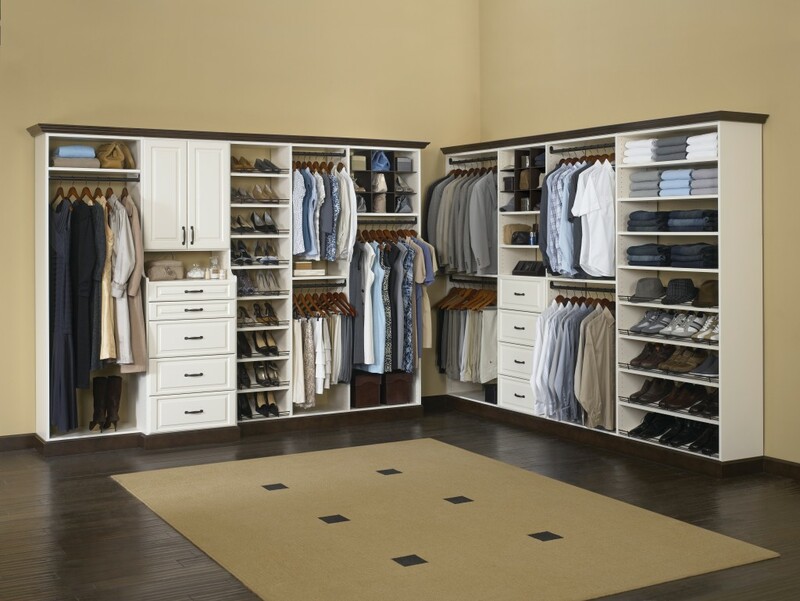 Ideal for master and kid closets, as well as guest bedrooms. Available in 12- and 16-inch depths. 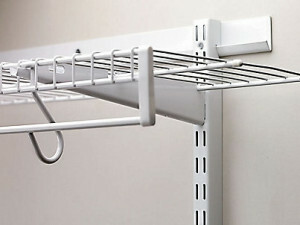 Wardrobe shelves economically organize hanging spaces and are ideal for smaller closets. Available in 12- and 16-inch depths. An extra durable shelf with closely spaced wires to prevent small items from tipping. Available in 9-, 12-, 16- and 20-inch depths. Linen shelves provide an economic an easy method of organization for stackable items. Available in 9-, 12-, 16- and 20-inch depths. All organizers are easily and securely placed on Rubbermaid’s FastTrack® system, constructed from heavy-duty solid steel and coated with a smooth epoxy finish. 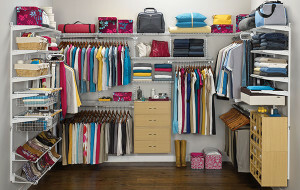 With FastTrack, organizers are enhanced through added strength and flexibility, giving you the ideal storage space. Simple-to-install and convenient, you can create custom, elegant storage solutions in your home in just minutes. All Rubbermaid shelving options come with a limited lifetime warranty. If you’re looking to personalize and maximize your space, request a quote today.